Gorenje reports that it has seen an increase in demand for energy efficient cooking products in line with Mintel’s recent white goods report which states that consumers consider energy efficiency to be the number one factor when purchasing new cooking appliances. Published in April 2015, the report found that 58 per cent of consumers consider a ‘higher energy efficiency rating’ the number one priority when buying a new oven, followed by reputable brand image and a long guarantee period. “For a number of years now we have seen energy ratings creep up the consumer buying agenda and it is fantastic that it now officially tops the list when shopping for cookers. “At Gorenje, we strive to develop the most innovative and energy-efficient appliances possible, with over 95 per cent of our cookers A rated or above to meet the ever growing consumer demand. Earlier this year the company completely re-launched its built-in cooking collection and has since reported that sales of it’s A rated BOP799S51X pyrolytic oven (seen here) have been particularly strong. 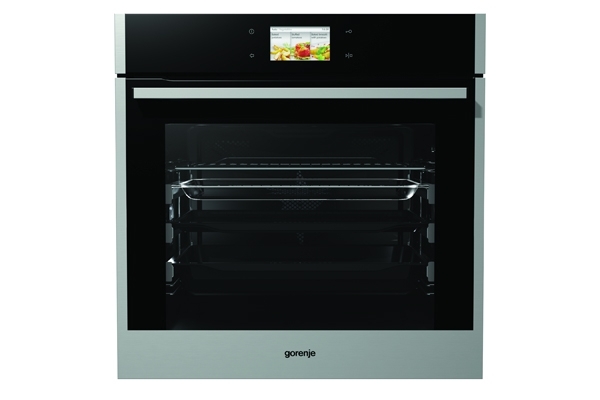 The model’s features include a 73 litre oven, an automatic cooking programme – with over 80 recipes to choose from – and an internal meat probe.